Black and white image of a group of students gathered on the steps of Harrison School #63. 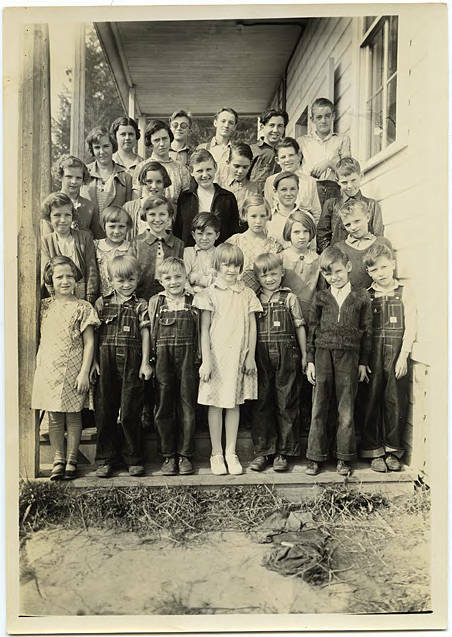 School census records for this year record a total of 46 students who attended at some point during the year, most of whom lived northeast of the community on Rural Route #1, now the Wilson River Highway or Oregon State Highway 6. [back] [pencil] Hoffman - 25 [cents]. Ronald 25 [cents]. Harold. Edw - 25 [cents]. Ibach. Robert. Helen. Bud. Vernon. 10 of this picture. 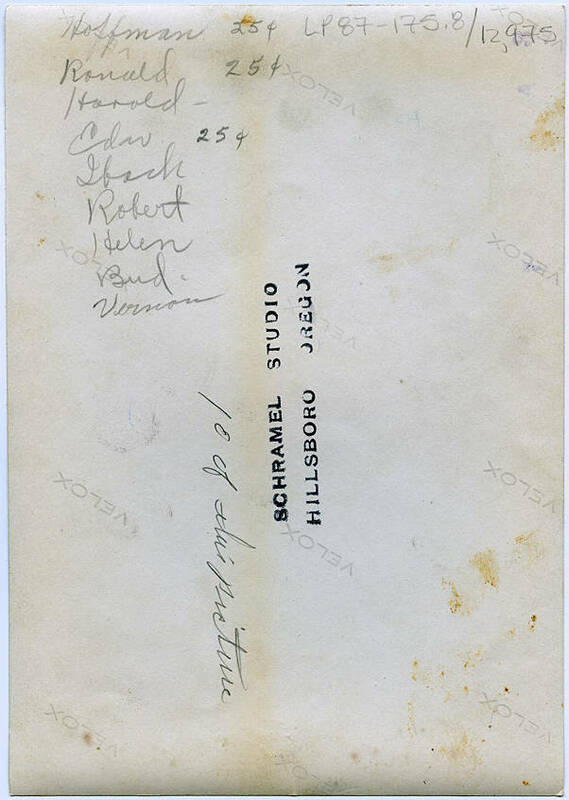 [stamp] Schramel Studio, Hillsboro, Oregon.